Bathtub materials affect the look, feel, weight, heat retention—and price—of these high-ticket plumbing fixtures. And since tubs are not easy to replace, it really pays to know what you are buying so you can be happy with your choice for many years to come. Here are some basic pros and cons for each of the most common bathtub materials to help you make the right selection when buying a new bathtub. Porcelain-enameled steel is a very common and often inexpensive option. It is constructed of steel sheeting that is coated with porcelain enamel. This type of tub is somewhat heavier than acrylic or fiberglass but is much lighter-weight than old-fashioned enameled cast iron. Acrylic tubs are a very popular option due to their versatility, durability, wide range of options, and low cost. 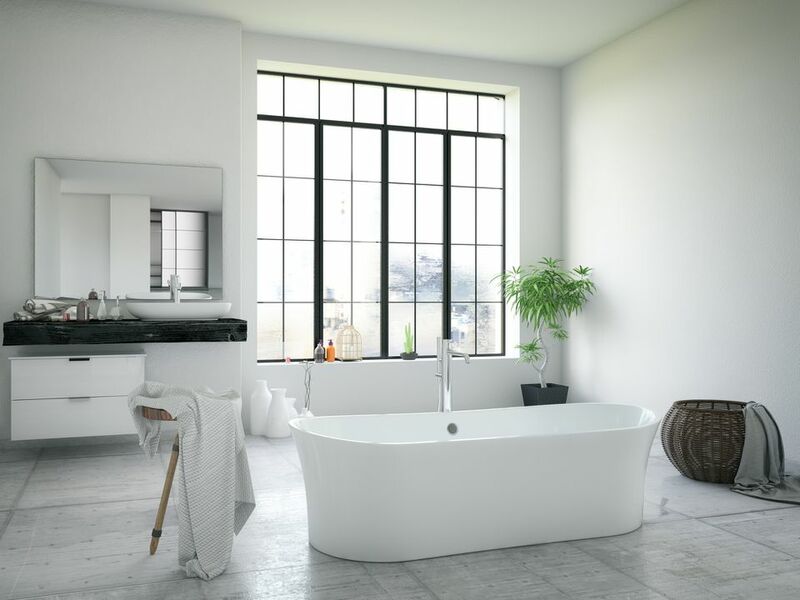 This type of tub is made from vacuum-formed acrylic sheets that are reinforced with fiberglass. Acrylic tubs are lightweight and relatively easy to install. Fiberglass is another affordable bathtub material. This type of tub is made of layers of surface coat, polyester resin, and fiberglass reinforcement. Fiberglass tubs are less expensive than acrylic but also less durable. A classic bathtub material, enameled cast iron is very durable—and very heavy. The tub is made of molded iron coated with porcelain enamel. A cast-iron tub is a higher-end option, but it is an investment that will really last. The only significant disadvantage (and a serious one) is the weight. A cast-iron tub can be quite difficult to install because it is so heavy and may require structural reinforcement of the floor. Cast polymer bathtub materials include engineered natural stone and solid surface materials. These are made by molding together minerals, polymeric materials, and resins to form a solid material similar to solid-surface countertops (such as Corian). The tubs typically are finished with a gel-coat finish.